In my position as Chief Instructor at the Jukido Academy I’ve had many intense telephone and in-person conversations with parents who are looking to either proactively prevent their child from being bullied or, in many unfortunate cases, are looking to stop the bullying their son or daughter is currently encountering. Many parents feel as if they have followed all of the administrative steps encouraged by their schools with no real results and see their children’s confidence (and safety) tanking. Thankfully, I’m also in the position to have seen many young people overcome bullying and in some cases stop it dead in it’s tracks! Due to our reputation as the longest standing martial arts school in our Palm Coast, FL & Flagler County community and much more importantly because of our approach to teaching martial arts exclusively as forms of practical self defense (as opposed to the trend of teaching martial arts almost entirely as competitive sports) parents frequently seek as out a last resort. They feel helpless and aren’t sure what to do. 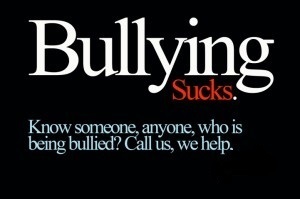 Bullying is a HUGE topic with many facets to address. I don’t plan on addressing every aspect or form of bullying in this post (although it is my intention to address other aspects of bullying in future posts) but I would like to emphasis a few select points on how the study Jukido Jujitsu and the approach we emphasize helps successfully address many of the fundamental and underlying components of bully prevention. Aggressive Behavior: Essentially, we don’t want our students to become aggressive, cocky, or bullies themselves once they acquire the real fighting techniques that they learn through our martial art. Jukido Jujitsu is NOT about learning how to hurt people; it is about learning how not to get hurt. Passive Behavior: Conversely, we don’t want students to allow themselves to be treated like a doormat! We certainly don’t want them to allow themselves to be treated like a victim. Bullies will treat you the way you allow yourself to be treated! If you are overly passive when a bully verbally or physically harasses you – they’ll continue to do it. The problem will than continue to grow as experience has reinforced to the bully that they can bully without any consequence or push-back. Rather, we teach our kids to stay on “Jushin” or centerline. That means that students aren’t aggressive or passive but rather they are master the appropriate use of assertive behavior. Being assertive, or on center, means that students are by no means looking for trouble and will do everything they can to avoid a fighting situation (talk to parents, teachers, walk away, etc. ), however, they have a “centerline” in the sand. There are some things they can and will ignore and simply “walk away” from but other items that “cross the line” which means that they must verbally respond (or physically if attacked) against the bully. Our objective at Jukido Academy is to teach students not only martial arts techniques to defend themselves with but also the knowledge of when and why it is OK. We let them know that they should defend themselves if the situation merits and we also give them permission to do so! Unfortunately many well intended parents and school policies discourage this (more on this soon in an upcoming blog). Our position is that there is a natural right to self-preservation and no policy (school or otherwise) overrides the right to maintain one’s personal safety. If truly attacked and your safety is in jeopardy- you must defend yourself immediately! Period! The below video is from our most recent Spring Break training camp from our children’s jujitsu program, which included several hours of a street clothing/backpack session on bullying in schools (earlier in the week we did child abduction education and simulations). Here, my student, Evan puts me in my place as I walk around the dojo testing various kid’s verbal and physical bully prevention skills. You’ll note in this video that Evan took a confident posture immediately in dealing with the bully. When confronted he maintained his “center.” He did what could to avoid a fight while at the same time he recognized that a “line” had been crossed. Physical and verbal threats to his safety. He stood up to for himself and told me very directly not to touch him again (note: he never said he would beat me up or that he would rearrange my face…the typical aggressive response and he also didn’t submit and cower his posture in a passive state). In his verbal Jukido Centerline response, he was very strong, confident, and assertive in his tone (the non-verbal element that is more important than the actual words used). His physical posture and eye contact was strong! Without ever challenging me to a fight (aggression) and without ever backing down (overly passive response) – he made it clear that he wasn’t afraid of me. When the bully pushed further and said, “What are you going to do about it?” He told me confidently and boldly, “I will defend myself!” and he took off his backpack (non-verbal demonstration of his willingness and readiness to do just that). When he came under physical attack (me choking him by the neck) he utilized fantastic Jukido Jujitsu technique to deal with the situation in a strong but justifiable manner. He demonstrated the essence of the Centerline Strategy we teach our kids at Jukido Academy. The beautiful paradox of learning Jukido Jujitsu in terms of bully prevention is that the children who are most able to physically defend themselves are those that are least likely to actually have to defend themselves! This is because when individuals (young or old) have the confidence in their physical capability to deal with bullies they walk with a different type of posture, speak with a stronger tone of voice, and know that if they are confronted by an attacker – they have to tools to deal with it! 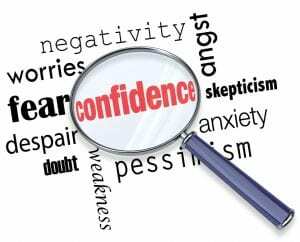 In Jukido Jujitsu this confidence is not build on a false foundation that is sometimes built in more competitive/sport-based martial arts. In these arts students are in tournaments competing against students of the same age and weight-class (to ensure that everything is “fair play”). However, a 9 year old boy facing another 9 year old boy of the same weight in average competitive karate, judo, boxing, or tae kwon do sparring match is a lot different than that 9 year old boy being confronted by the giant 12 year old that is twice his size slamming him against the lockers or putting him in a headlock! The child in a sport-based martial art may gain confidence from his competitive wins but it is frequently build on a false-foundation. If he is ever truly confronted with violence his sport-play martial arts approach hasn’t prepared him for practical real world self-defense. Having his confidence crumble under the weak foundation (lack of truly effective strategies/techniques for self-defense) can be twice as devastating. In Jukido Jujitsu this is the dynamic we do our best to avoid! The entire art is based on the premise that you WILL be the smaller and weaker individual (unlike the tournament things won’t be made “fair” for you) and you must utilize your skill in jujitsu to use the size and strength of the bully against him. Unlike the competitive-kid – he does this on a regular basis inside the walls of the dojo. When has regularly, and literally, thrown around the kids twice his size in practice at the dojo it gives him a sense confidence in his ability to do the same to the bully (if it became necessary)…his confidence is backed up by something real! The strongest of foundations. As a result, the bullies don’t look so big or bad anymore. The young martial artist’s assertive posture subconsciously trigger the bully to look for a more passive target. The bottom line is that bullies are like sharks. If they smell blood, they’ll go for it! However, like most predators, bullies also get a sense of when a target is much too likely to fight back and fight back hard! The risk is to great so instead they move on to an easier target. The point isn’t even really if the young martial arts student will “win” or “lose” the fight (although we believe with Jukido Jujitsu he’ll win handily) but simply that the bully understands that win or lose – he’s in for the fight of his life! The skills instilled in Jukido Jujitsu build the confidence in young people that bullies shy away from…and the type of confidence and courage that will serve them well as they grow from childhood to adulthood. During the next blog we’ll discuss some of the well-intended but common mistakes made by schools and parents in what they teach their children about dealing with bullying. 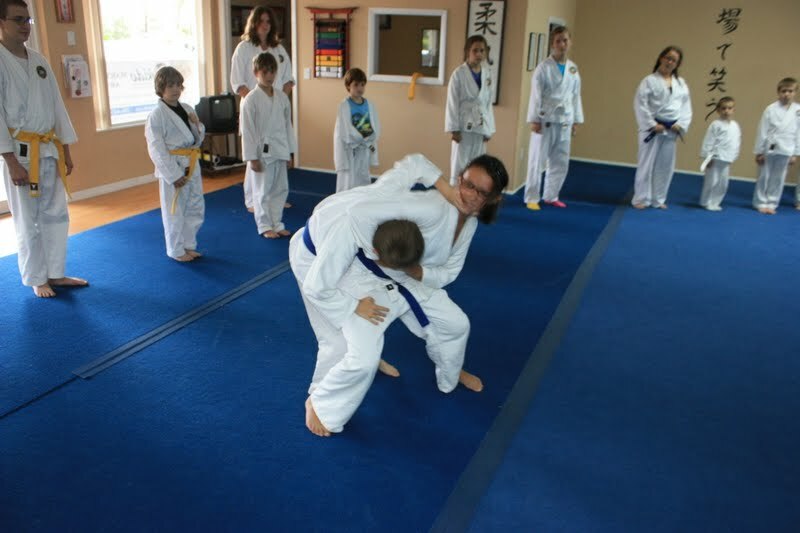 Feel free to comment below, email me directly, or contact Jukido Academy for with questions or more information about children’s program of jujitsu and karate for self defense in Flagler County. We’ll can work together to make your child bully proof!